The longer I go through life the more I embrace the minimalist way of living. There is a reason Mark Zuckerburg and Steve Jobs opted to wear the same neutral colors every day. The fewer useless decisions you are forced to make each day, the sharper you will be when it comes time to make the important ones. Unnecessary possessions seem to work the same way. They just seem to complicate your life without reason. You may wonder why a personal finance site would have information about minimizing and decluttering. Simple…clutter and excess often result from overspending and lack of money management. If you have ever seen television shows that focus on obesity or debt, the homes of the subjects of the shows are often cluttered, unorganized and have piles of “stuff” throughout the home. 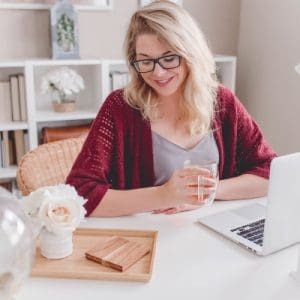 Simplifying your life can get you back on track to live your best life and recover from overspending and debt. Making lifestyle changes can be very difficult. The best way to make major changes is to start small. It is similar to crawling before you walk. My goal is to transition to a minimalist lifestyle, at least when it comes to possessions. I can work on other things after that. And for him, parting with things can be painful. It seems we all have certain “categories” of things we are partial to and don’t want to let go of. For me, it tends to be craft stuff and for him, it is clothes. The first step of the declutter project was to declutter and downsize closets and drawers of clothing that have not been worn in more than a year. Clothes is something we wear everyday. Why not make this part of your life more efficient? The plan was to toss things that could not be donated. As for the Vera Bradley bags that I knew I would no longer use, the plan is to take photos and list them on Facebook, Offerup or Letgo. These were the only items that I was willing to part with that I trying to sell. I will price these items to sell in order to complete this part of the project in a minimal amount of time. So, at the end of the day, I could have listed all of these items for sale. But I am not in business as a reseller nor do I have the time to manage online selling tasks. I kept the dress I wore to my sons wedding. It has been 7 years since he got married. I have sort of a picture/craft project in mind for it. I finally parted with many clothing items (coats, socks, fleece sweat pants and shirts) that will not be worn again due to the beauty of the Florida weather. I have eliminated 3 sizable garbage bags of clothing items. I would have never guessed I had that much that was not being worn regularly. 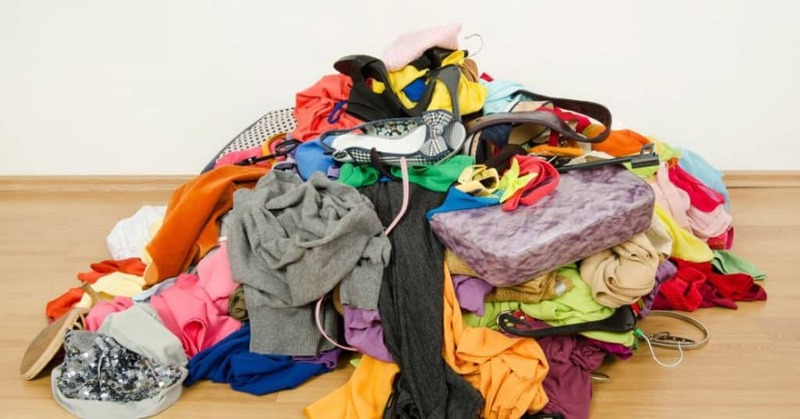 This is the reason you should have a regular purging schedule for clothing items as well as other areas of your home. The garbage bags went in the back of my car as soon as I was done so that they could be deposited into the first clothing donation drop box that I passed. 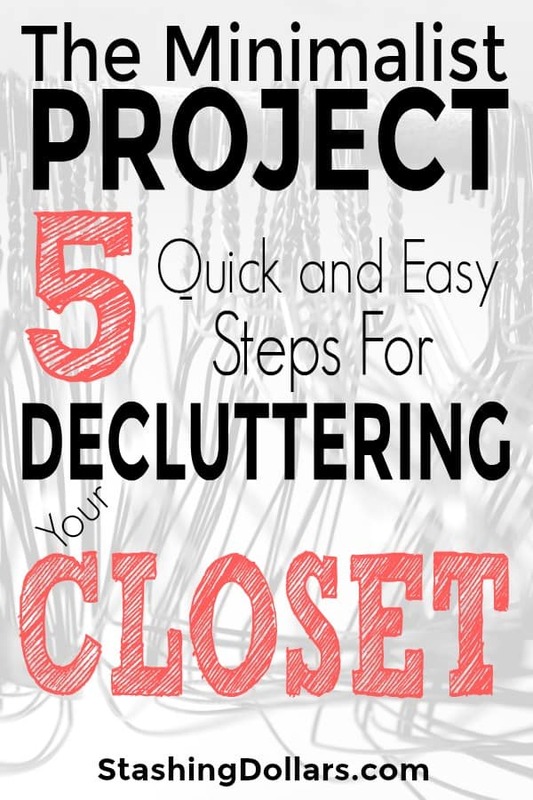 Do your closets need decluttered? Follow these simple steps. Set aside time for getting your closet, dresser or other space decluttered or organized. Make sure you have containers to organize or eliminate items. When I am going through clothes, I use a large garbage bag for collecting clothes that are lightly used and can be donated. It’s quick and can easily be put in a clothing drop box. You should do a deep dive once or twice a year into closets and dressers where clothing is kept. Look at everything. If this is a large operation, you can break it down in sections and do it in parts as long as you do it all. Some experts recommend you take everything out and put it in a big pile and go through the items from the pile. Quickly sort into 3 piles. Keep, toss or maybe. This step should be done quickly. If you have problems make decisions about what stays and what goes, try asking yourself these questions? “Do I love this?” and “Do I look great in this?” and “Do I wear this often?”. Items you are keeping should make you feel good and be worn regularly. Toss is a cut and dried action. Donate it, sell it or throw it out. The items that are considered “maybe” should go in a container with the date on it. If you have not worn the items in 6 months (12 months for seasonal items), get rid of them. Clean your empty spaces. Return the items you are keeping to their designated places. 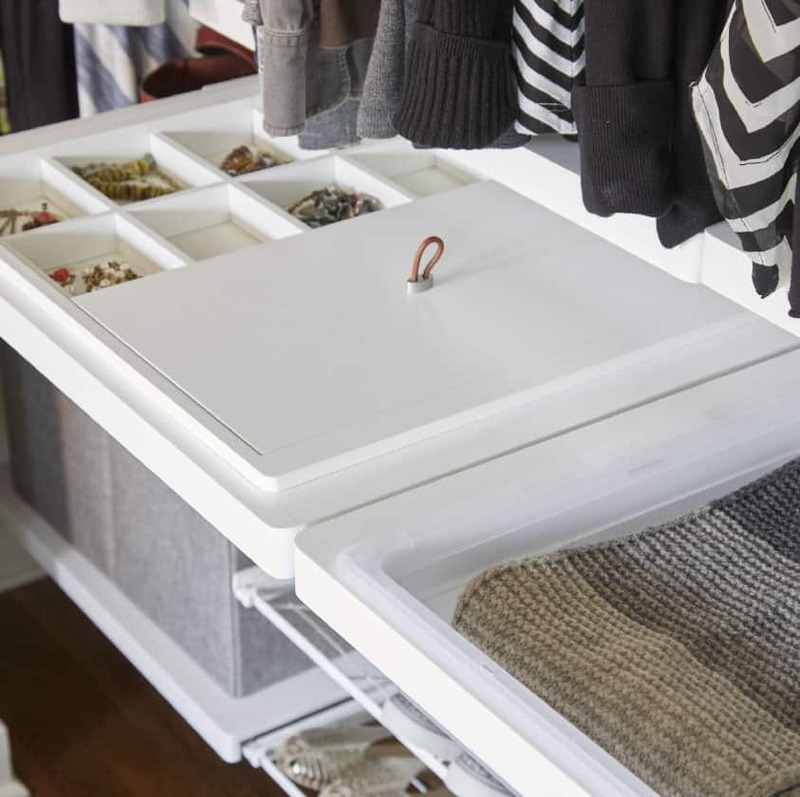 Take the time to create an organized and functional space. This does not require high end fancy closet. It just needs to neat and you need to able to find what you are looking for without having to send out a search party. Label the “maybe” container with the date and store in a location where it is easily accessible either for use or getting rid of the items. Toss, recycle and sell immediately. The longer something stays around the more likely it will not be dealt with effectively. BONUS: Reward yourself for a job well done and taking a step towards living a more minimal and intentional life. Keep the closet floors clear. Nothing feels more zen than open space, not to mention how much easier it will be to clean. Organize things by color. It will be that much easier to find what you are looking for and it adds to the organization of the room. Label your storage containers. Clear containers work best, tape and marker will do the trick. I invested in a Brother label maker. It comes in handy for labeling all over the house. Review and purge regularly to keep clutter and overwhelm to a minimum. Also, consider following the one in one out rule. For each piece of clothing you bring into the house, a piece has to go. 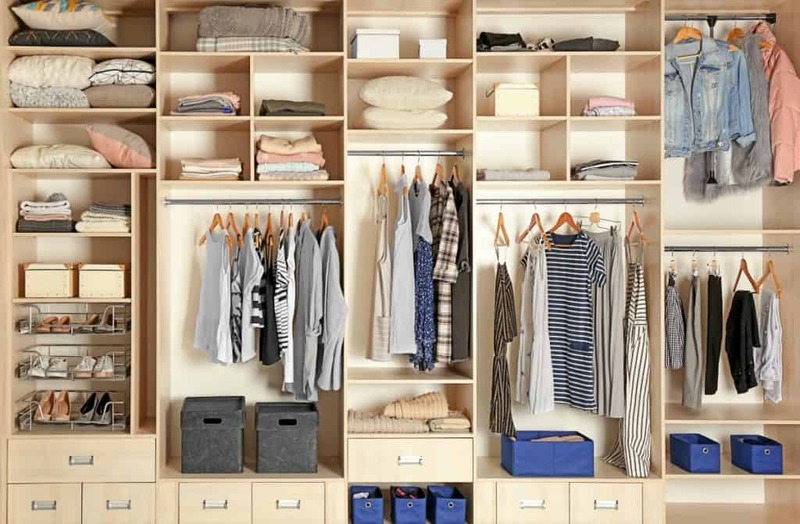 Reward yourself with a closet organization system. You may think you cannot afford one, but there are some that are very affordable and easy to install. Don’t want to do the install yourself? Many of the companies that manufacture closet system have low cost options for having them installed. You may wonder why a person that writes about money and personal finance would talk about minimalism and clutter. 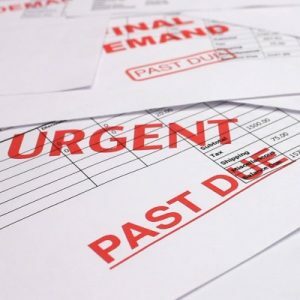 Simply put, if you can come to terms with having less “stuff,” you will be spending less money on things that do not provide value and you will be keeping more of your hard earned money. More importantly, an excess amount of “things” creates mental clutter, the simpler you can keep your life, the more quickly you can grow…financially, emotionally and spiritually.